..:recycled minds:..: Consumption Junction: What's in Store for Reading? Consumption Junction: What's in Store for Reading? What's the future of bookstores and newspapers? Barnes & Noble recently announced it will be closing more stores over the next decade, about 20 each year, news that has been met with mixed reaction. As a proponent of small businesses versus behemoth box stores, I can’t help but feel a small sense of smug satisfaction at hearing this news. On the other hand, there is a part of me that says, “But wait. Conspicuous consumption and gluttonous spending is good if it’s a bookstore!” No doubt this other feeling comes from the fact that there are so few alternatives to patronizing the chain, which is why it is encouraging to read the news from the American Bookseller Association of the 43 new independent bookstores that ABA members opened in 2012. While 43 stores compared to over 400 Barnes & Nobles, the number the chain projects it will keep open after 10 years, seems almost anecdotal, hoping that these new brick and mortar stores filled with print matter are the start of a market trend is not all that much different than hearing arguments of the reverse that tout the revolution of the e-book. Speaking of which, late last year, Bowker Market Research released their numbers regarding book sales, which tells us that in the second quarter of 2012, e-books accounted for 22% of book spending, up from 14% in the second quarter of 2011, but still trailing hardcovers (27%) and paperbacks (30%). What I’d like to extrapolate from this data is that e-books are finding their comfort zone in the midst of traditional books, and to say they are poised to take over the entire market is just premature. I’d also like to think that I’m not the only one thinking this way. In other recent Barnes & Noble news, the founder of the chain, Leonard Riggio, has revealed he wants to buy back the stores and the website, but, interestingly enough, not the Nook part of the business. So why the continued hang-ups about digital versus print? Let’s turn to books’ beleaguered cousin, newspapers. For over a decade, newspapers have struggled to figure out their place in digital culture. In terms of advertising revenue, exchanging “print dollars” for “digital dimes” has been the mantra of many newspaper chains. A 2012 Pew study of 38 U.S. newspapers found that some papers are succeeding, and others aren’t. Overall, the study concluded that papers who were most aggressive at adapting to digital sales were more successful than those who relied on print revenue. Getting lost in the shuffle of dollars and dimes are the effects on newspapers’ content – the quality of the news generated within a management culture that is bent on getting the most for the least. A study of this nature would most likely be a nice companion to the usual digital hype. My apprehension about forgoing the printed word for the ease of digital lies in the small side-effects. One is the changeability of the digital word. An example of this disconcerting characteristic arose recently in the controversy over writer Nick Thayer’s delayed insertion of hyperlinks in an article published on nknews.com. Whether the lack of citations were plagiarism or editorial oversight, the news was “fixed.” Second, which I’ve already talked about here but which continues to nag me, is the quality of content in what I like to call a “culture of me.” What consequences for books and newspapers alike come from publishing in a digital culture of split-second attention spans? Tell us your thoughts (in digital format only) on print and digital publishing in the comments below. It seems to me that the younger the person, the more likely they are to have trouble reading anything longer than a few hundred words. It's sort of like a low-level ADHD that is encouraged by things like twitter, facebook updates, and the sheer amount of information that's at people's fingertips. People find it harder and harder to stay focused on longer articles, and books? Their swan song hasn't been written yet, but it's not looking too good for them either. As someone recently posted on my facebook feed: "If you don't have ADHD, you're not paying attention." For me, broadly speaking, there are two types of books. 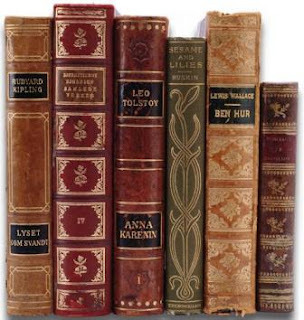 One type is the 'book for entertainment' - novels, memoirs, or any book I am reading for pleasure. Historically, I read these books once, and they either sit on my shelf, or are passed on to a friend. For me, these books are perfect for the ebook format. A second type of book, however, I prefer in traditional format. These include the more academic-type books, and I may underline or highlight passages, mark important sections, make notes in the margins, and more importantly, refer to these books numerous times over the years. Right now, in early 2013, I have not found an ebook reader that lets me do these things in a way that matches the ease and convenience with which I can do them in physical books. I wish all the big box stores would go out of business! They don't care about the authors, they don't care about the community, all they care about is the bottom line. That is just not acceptable anymore!